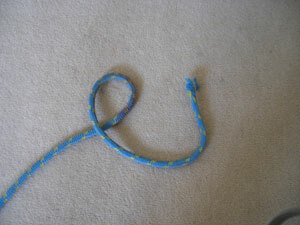 This page is about how to tie a bowline knot. 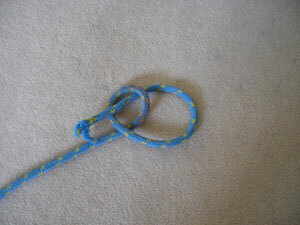 Bowline (pronounced like 'bowlin'), is one of the most useful boating knots. It is often used to attach the spinnaker sheets to the spinnaker as well as the spinnaker halyard (the rope that pulls the spinnaker up). 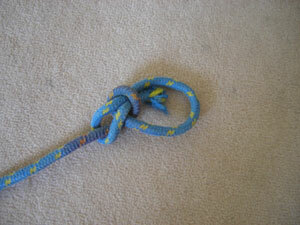 The bowline is used, because it is an unbreakable knot when force is applied. However it can be removed and only by one way. On the above photo you can see a tightened loop. 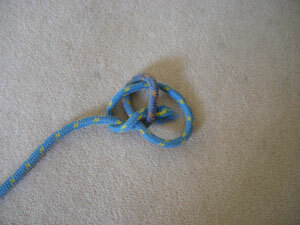 This loop is called the back of the knot. 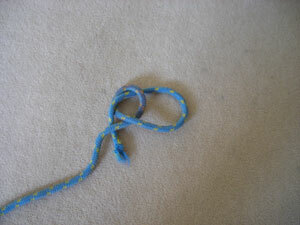 To open the knot 'break the back' by letting the loose rope into it. This will open the knot. Try it yourself with some string or rope.